Sort file:- Sidcup, December, 2018. 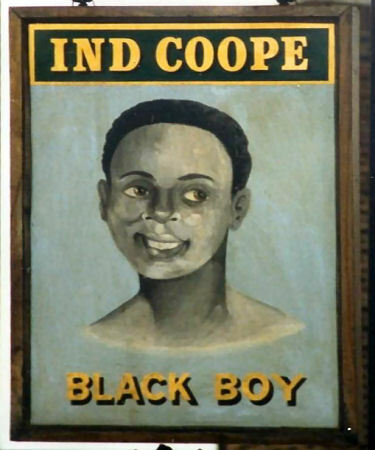 All I know of this one is that it is called the "Black Boy." The photo was taken in 2006 and is situated at Southspring, Sidcup (that used to be part of Kent). Above sign, 1987, kindly sent by Roger Pester. 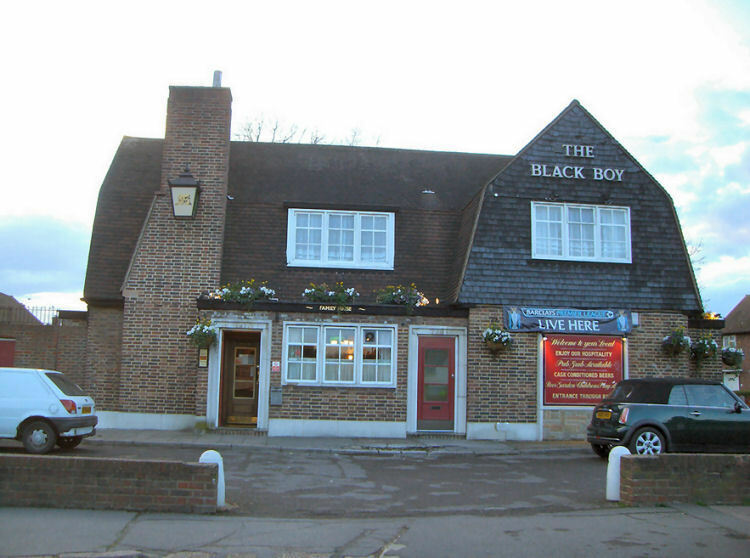 This pub is very similar in design to that of the "World's Wonder" at Warehorne, the "Carpenter's Arms" at Hadl, and the "Ship" at Lydd on Sea, the "Welcome Inn" in Eltham, the "Bell" at Coxheath, the "Redstart Inn" at Barming, and the "Papermaker's Arms" in Hawley.